KARACHI: Four more provincial ministers were inducted in the Sindh cabinet on Wednesday by Chief Minister Murad Ali Shah. Governor Imran Ismail administered the oath to Mukesh Kumar Chawla, Imtiaz Ahmed Shaikh, Syed Nasir Shah and Faraz Ahmed Dero at a ceremony held at the Governor House. After the latest addition, the strength of CM Shah-led cabinet rose to 12. The ceremony was attended by the president of Pakistan Peoples Party’s Sindh chapter, Nisar Khuhro, provincial ministers and advisers, chief secretary, inspector general of police, etc. Speaking on the occasion, the governor hoped that the provincial ministers would utilise their every capability for the betterment and prosperity of the people of Sindh. Later, the CM allocated the portfolios to the newly appointed ministers. Mr Chawla was given excise and taxation department; Mr Shah got the portfolio of works and services; Mr Shaikh got energy while Mr Dero was given the responsibility of the Auqaf, zakat and ushr department. Mr Dero, who has been elected from Tando Adam for a second time, is the only new face as he became a provincial minister for the first time. Mr Chawla belongs to Kashmore-Kandhkot and became an MPA on a seat reserved for minorities. He had served as provincial minister for excise and taxation during the last tenure of the PPP government in Sindh. Bureaucrat-turned-politician Shaikh was elected from Shikarpur. He has been MPA and provincial minister a couple of times. Mr Shah was elected from Rohri and had worked as provincial information minister during the last PPP government in Sindh. Also on Wednesday, the chief minister allocated the additional portfolio of information to his adviser Barrister Murtaza Wahab. He was inducted in the provincial cabinet as an adviser to chief minister on law. After the formation of the PPP government in Sindh, CM Shah formed his cabinet on Aug 20 with eight ministers and two advisers. 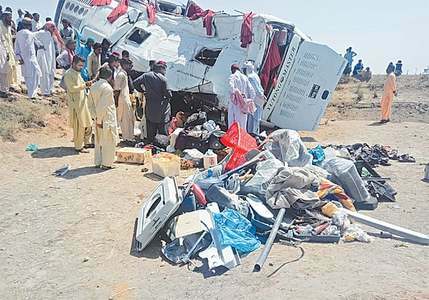 They were Dr Azra Pechuho, Saeed Ghani, Hari Ram Kishori Lal, Syed Sardar Ali Shah, Ismail Rahu, Syeda Shehla Raza, Makhdoom Mehboob-uz-Zaman, Shabbir Bijarani, Mr Wahab and Mohammad Bux Mahar. As Sindhi, delivering for PPP will be next to impossible with the current lot! Corrupt need sentences not advisory roles. Does the constitution put a limit on how many ministers and advisers a provincial government can have? Sindh people do not want change and they also live in poverty.. they always vote to corrupt candidates. why ? Minister, Minister everyday People's problems there to stay No output, no change at all But they will get their pay. Only four new ministers? What will the poor remaining PPP members of the assembly do to recover their investment in getting the membership in the assembly? Surely they have a right to get back their investment as well as returns on the same.